While these capabilities have been important to national security and military strength, and a tremendous boon to commercial enterprises, they were developed mostly with virtually unlimited resources. However, an era has now been entered where military budgets are closely scrutinized for the value delivered for each dollar invested. Just as commercial enterprises have focused on profitability and efficiency, government and the military are also looking for the biggest bang for every dollar — even in space technology. The U.S. military has extensive experience with small satellite (smallsat) technology and has the ability to launch whatever is required into orbit. The question being asked today is: Are there better ways to get the job done? The rapid commercialization of smallsat launch opportunities and platforms — particularly for cubesats — has ushered in a new option for placing military technology in orbit quicker, cheaper, and with less effort. Military-Commercial collaboration is not a new concept. There are numerous present-day examples of cooperative programs that work well. While there were teething pains with some of these efforts, the goal of correct-sizing to deliver the right value has generally been achieved. Leveraging a Commercial Service: In new operational theaters, military units often rely on commercial telecommunications networks to augment non-secure connectivity requirements while building out their own infrastructure. 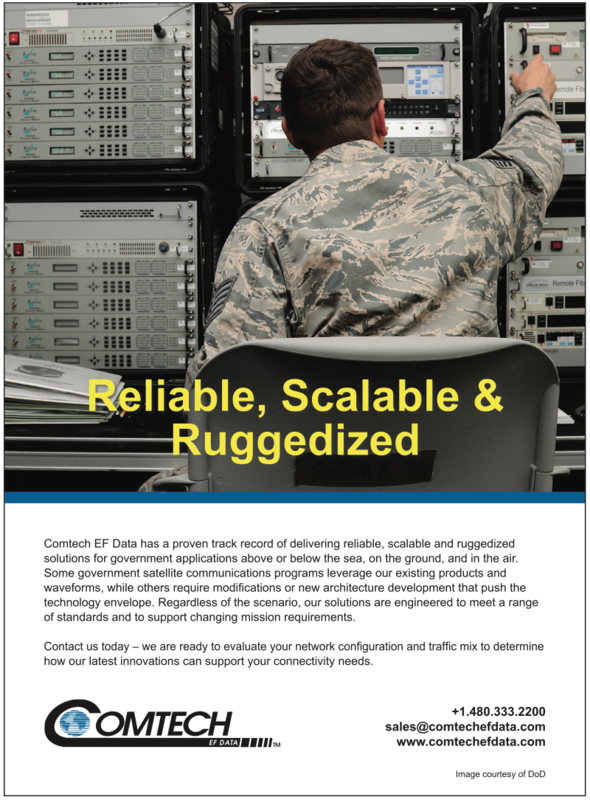 This facilitates operational readiness in forward areas with limited cost and manageable risk. Leveraging Commercial Expertise and Infrastructure: Much of the logistics support for moving U.S. military materiel around the world is currently provided by commercial firms. Commercial freight forwarders, transportation providers, and logistics experts have proven to be more efficient and less costly. Leveraging Public Data Sets: Military units responsible for weather observation and reporting, augment data collected from their own sensors and systems with that provided by NOAA, MET Office, and other public resources. This enables better weather intelligence without the need to fly additional space-based sensors. While these examples don’t rise to the level of pure COTS (Commercial-Off-The Shelf) integration in the manufacturing stream, they demonstrate the confidence military organizations have engaging commercial enterprises to improve performance and/or reduce cost. Military and government organizations have a long history of COTS utilization; however, it is important to remember that it’s no small task to shift from internal development to relying on outside manufacturers and suppliers. COTS implementation can pose threats to programs, and these threats must be mitigated from the outset. Key risk vectors that must be addressed and managed include multiple source options, strict version control, and iron-clad supply chain management to prevent introduction of counterfeit parts. Once accomplished, the use of COTS materials in cubesat-based applications sets up a cost- and time-efficient scenario that will accelerate deployment capabilities and advance both military and commercial goals. In this scenario, the military maximizes efficiency by focusing on the payload, while commercial partners provide transport and operational expertise. Hardware costs are reduced, and personnel and operational expenses can be outsourced at competitive rates. While the military is not likely to outsource all its space-based initiatives to commercial enterprises, there is an opportunity to leverage commercial efforts in particular areas that meet operational and tactical needs — without exposure to additional risks. As a result, the potential of using COTS products — such as CubeSat chassis or buses — for military payloads could become a win-win situation. Hundreds of commercial Cubesats were placed in orbit in 2017. As this trend continues to accelerate, economic forces are driving standardization, leveraging economies of scale and scope. This results in lower costs for all markets. In addition, with the growth of the commercial cubesat industry, comes growth in technical expertise and experience which can lead to both military and commercial advancements. There is a rich history of the military leveraging dual-use commercial and military COTS products. Extending this model to cubesat applications can be achieved with a moderate level of cooperation between the parties involved. There are many potential benefits to military organizations beyond cost reduction. Standard bus architectures and designs would facilitate a modular approach for developing and deploying systems. A COTS bus, which can carry a range of payloads, would enable procurement and deployment of reserved systems both on the ground and on orbit. In addition, using standard bus and operational platform modules, single function, or narrowly-defined payloads can be easily deployed and tasked in very short timeframes to support new missions and theaters. The relative low cost also enables frequent technology refreshes that can leverage the most up-to-date capabilities. Furthermore, these reserve units serve for rapid deployment in response to critical situations that require additional observation and monitoring. Whether for monitoring natural disasters or in war theaters, where these assets could provide essential intelligence for warfighters on the ground. The simplification of mission parameters for individual cubesat units, provides flexibility in tasking and performance. Disaggregation of on orbit instrumentation and resources lessens risk, while providing inherent resilience and reliability. It’s an over simplification, but it is much easier to knock out one very large satellite than dozens of tiny satellites. The time and cost to replace a large multi-function satellite is untenable when compared with the flexibility to launch or commission one or 100 cubesats. The volume and value of observational datasets beamed down from these on orbit resources will enhance operational capabilities and planning in multiple sectors. A starting point for military-commercial collaboration can be found in the realm of data collection and analysis. Commercial EO intelligence datasets can be procured and processed to enhance military capabilities. 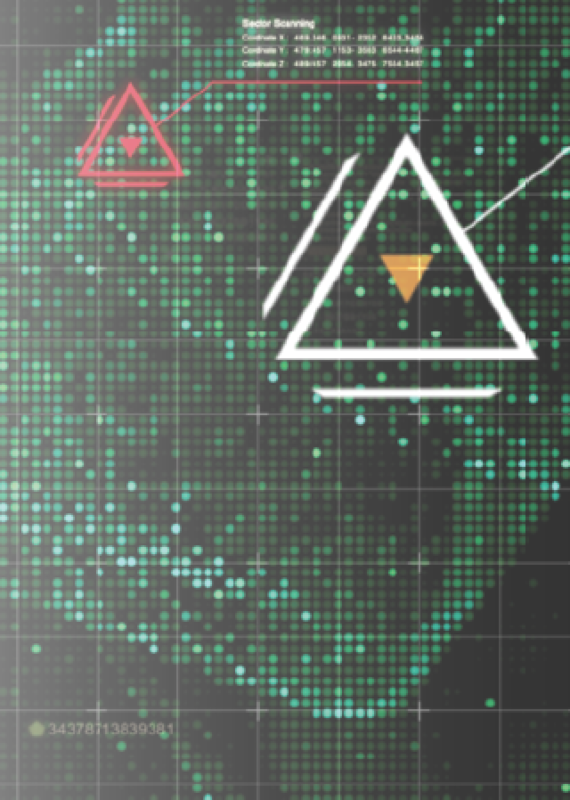 There is some incongruity between a classical COTS model and datasets, but the resulting benefits should outweigh the need to stretch the definition. Datasets are not a physical item, such as a bearing, windshield, or fuel tank, that can be given a part number and stocked in a supply depot. However, datasets can be managed and treated much in the same manner as any service. Military weather units use public datasets, and military units leverage commercial telecommunications services when needed. Combining these concepts, and treating datasets, such as a constant stream of weather intelligence data from commercial satellites, as a COTS service, is a fairly easy model to comprehend. Extending on the current model for tactical weather observation and planning by military weather units, such as the 557th Weather Wing of the U.S. Air Force (557th WW), use of commercial datasets gathered from cubesat constellations can improve weather intelligence accuracy and value. 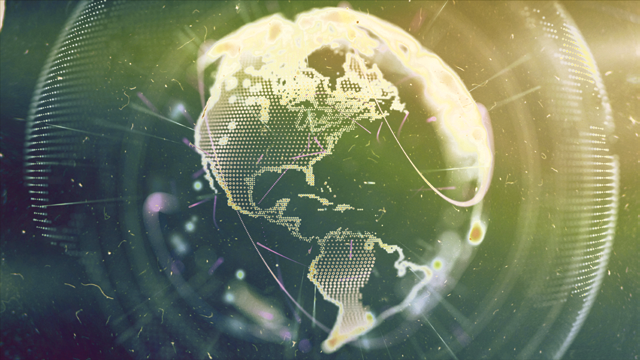 The 557th WW uses weather datasets from public sector space assets, but as these systems are primarily tasked to collect observations of areas of interest to the sponsoring governments, data for other world regions may not be as timely or detailed as needed. In some parts of the world, the interval between weather observations from public platforms can be as long as 18 to 24 hours. One of the benefits of cubesat-based weather observation systems is the use of constellations that can provide observations from multiple satellites, enabling data collection at intervals approaching 15 minutes. These relatively inexpensive systems are poised to deliver weather intelligence datasets nearing the lowest practical intervals. For example, one solution comprises 36 to 40 operational cubesats in pseudo-random low Earth orbit, using microwave radiometry to accurately measure temperature, humidity and precipitation at up to eight altitudes. 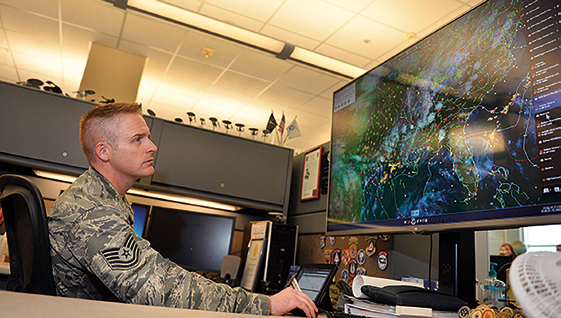 Providing this level of weather intelligence at the 557th WW’s High Performance Computing Center can have an immediate effect on the unit’s mission to deliver authoritative environmental intelligence to decision makers across the spectrum of global operations. In this model, weather intelligence data is treated as a COTS service, subject to the same supply chain requirements as any other COTS element. It roughly parallels streaming media services or satellite communications services utilized by consumers and businesses worldwide. However, as there is no physical device to be manufactured, the adoption and deployment of such a program could be accelerated. Effectively, this becomes a military-commercial collaboration scenario that improves performance, with limited expense and effort for the military. Analysis of in-flight atmospheric conditions such as icing, extreme turbulence, and airborne particulates can inform better preventative maintenance decision-making. Harsh operational conditions can accelerate maintenance needs. Data-driven predictive analytics help ward off in-operation failures that may occur in advance of typical time-driven maintenance schedules. This could assure operational readiness while streamlining maintenance functions. Bad weather and intense precipitation can be assets as well as risks for military units. Access to timely and accurate weather intelligence, including precipitation rates, wind speeds, and cloud density enables better mission planning and execution. Global weather intelligence datasets could reduce the need for each service and unit to deploy observation resources in a region or theater. This can eliminate redundancies, and unnecessary costs, during developing situations and in active observation zones. 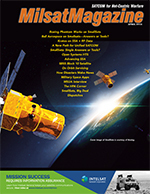 Implementing COTS solutions to address military needs in space is in its most nascent stages. The process will take time and effort from both military and commercial players to map out a value chain that delivers for all parties. The pieces are here today. The military are experts in knowing how to identify and address threats. The commercial sector has the capacity and capability to deliver cost-effective resources in orbit, as well as provide datasets as a service — with limited capital investment from the military. Predicting where the market will head is in the hands of entrepreneurial enterprises. Opening the doors to relatively simple applications —such as using commercial weather intelligence datasets — could be a foundational catalyst for innovation that will substantially improve the efficiency of military space missions. William Hosack serves as Chief Executive Officer for Orbital Micro Systems. His extensive aerospace background includes 28 years of supply, production, and senior management experience, executive management consulting, expertise in strategic business development in Asia, and as a compliance expert for export and ITAR in Southeast Asia. Mr. Hosack studied Aeronautical and Space Management Operations at Embry-Riddle Aeronautical University. He is also an IFR Certified private pilot.